Jesus is worthy of it all! 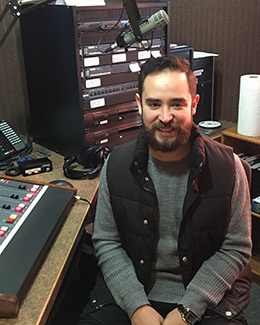 I am privileged to be a part of the KJTS Spanish language broadcasts helping to establish and extend God’s Kingdom here in the greater Minnesota River Valley Region. I am a native of El Salvador, yet came to the states when young. I recently married my beautiful wife, Yesenia in June, 2017. I have a double bachelor’s from Minnesota State University in Communication Studies and Spanish. By God’s grace I serve as the Director of Hispanic Ministries at New Creation World Outreach Church in North Mankato, MN. My heart is for the Hispanic community and I believe God has many great things in store for us! ¡Dios les bendiga!